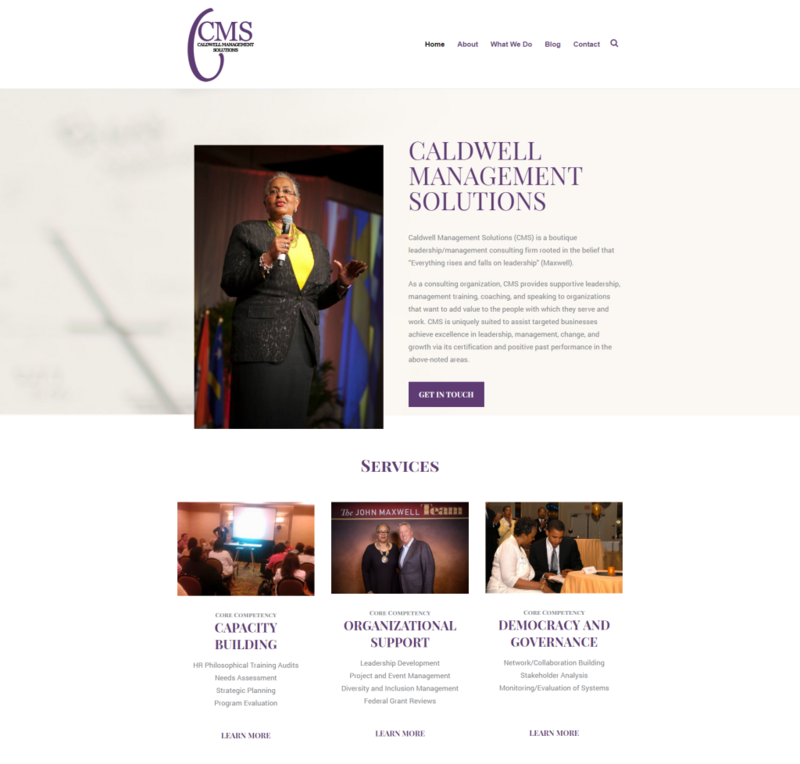 Caldwell Management Solutions is a boutique leadership/management consulting firm. They provide leadership, management training, coaching, and speaking to organizations that want to add value to the people with which they serve and work. Dr. Caldwell-Thompson reached out to me via LinkedIn to discuss her expanding business. She wanted a new look and feel for her company and her website needed an update. “To harass the growth and new direction of my company, I wanted a new look for my website. Connecting with Beth Thompson of Beth Thompson Enterprises, LLC, was a great thing for my company. After listening intently to my desires for my company’s new growth and my business perspectives, she was able to make various suggestions that I loved. She was able to take my website to a new level by creating an interactive platform that is clean, informative, and represents my company’s visions, mission, and services. Beth Thompson is a very professional and talented web designer that listened to my business desires and used her visionary talents to produce a product that I am very proud of. She communicated effectively with me and she made sure she understood exactly what I was asking for. She takes pride in her work and it definitely shows. What is Twitter and What Are the Benefits?